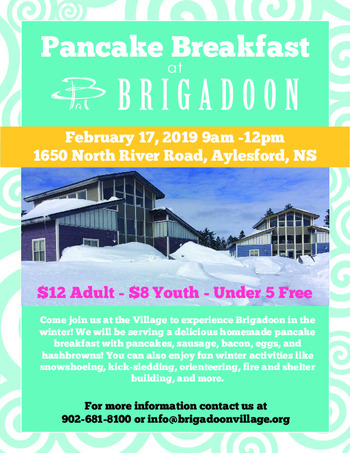 Come join us at the Brigadoon Village to experience some winter fun! We will be serving a delicious homemade pancake breakfast with pancakes, sausage, bacon, eggs, and hashbrowns! You can also enjoy fun winter activities like snowshoeing, kick-sledding, orienteering, fire and shelter building, and more. 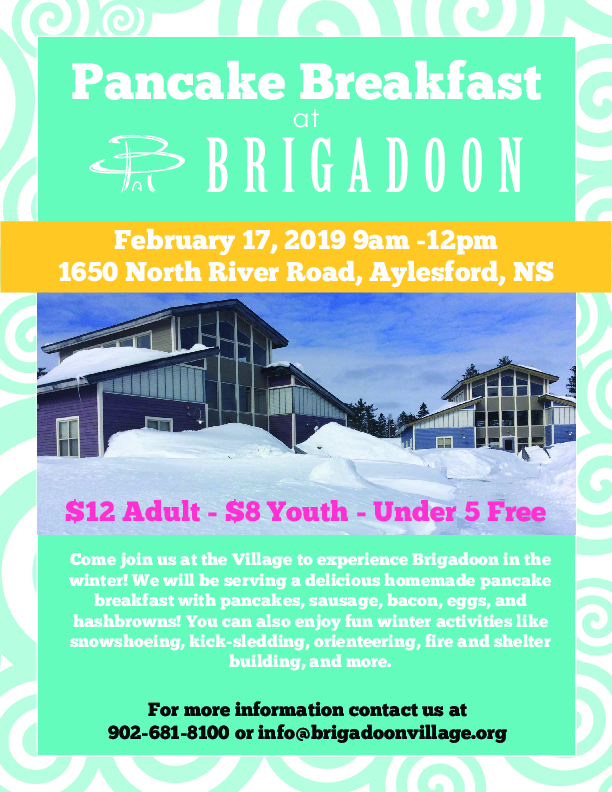 For more information about this event, contact our registrar, Sally, at 902-681-8100 or info@brigadoonvillage.org. The snow might be keeping some people indoors, but did you know that Brigadoon Village is open year-round? In the off-season, Brigadoon Village is available for facility rentals and school trips. We offer diverse and exciting programs that can be tailored to fit your class or group. Did you know that last off-season we hosted over 3,000 people from schools, meetings, corporate retreats, and other community groups?